Who fancies some homemade ice cream? No machine needed to create this ultra creamy and moorish dessert. 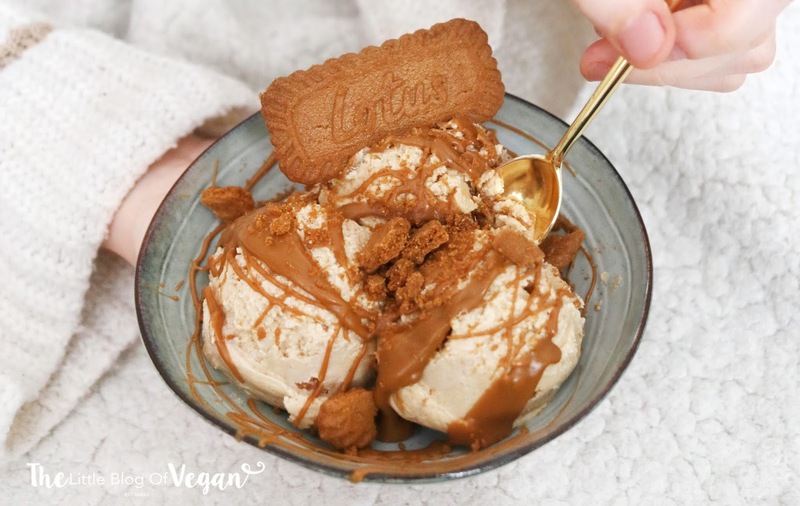 This simple Biscoff ice cream is vegan, with swirls of Biscoff spread and cookie crumbles...divine for a hot and sunny day. If you haven't heard or tried Biscoff...you're missing out big time! Biscoff is a cookie, with a divine caramelised flavour! They've fastly become my favourite cookie and flavour in desserts. Only 6 ingredients are needed in order to make your own homemade ice cream which tastes 'out of this world' good! Light, creamy, refreshing and delicious are only a few words to describe this ice cream!!! You'll have to give it a go and try it for yourself! Step 1- Line a loaf tin with greaseproof paper. 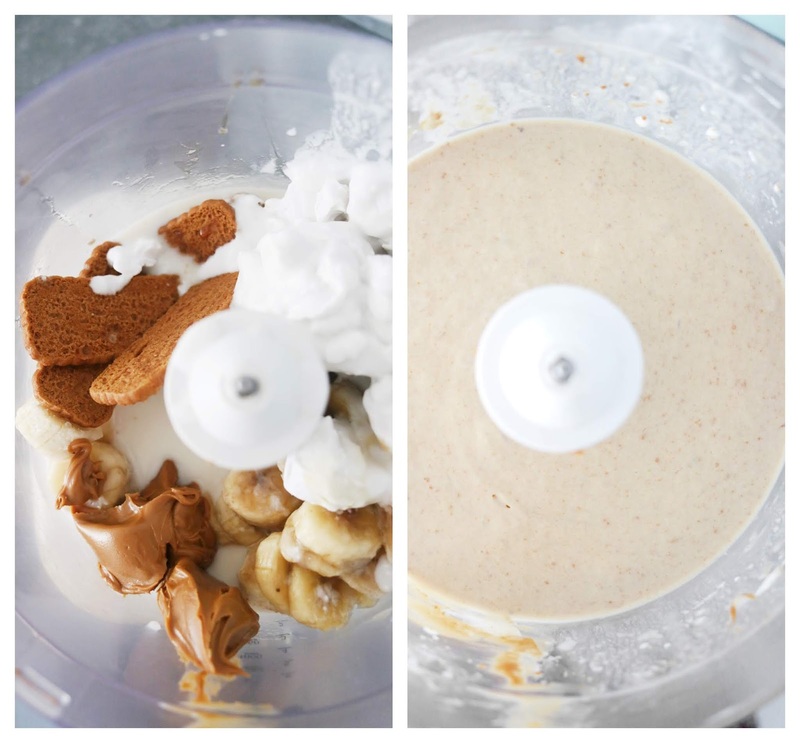 Step 2- In-to a high-speed blender, add in the frozen bananas, vanilla extract, coconut cream, maple syrup, dairy-free milk, Biscoff spread, cookies and blend until smooth. Step 3- Spoon the ice cream into the lined loaf tin, level out and pop into the freezer for around 2-3 hours. Once set, scoop and serve. 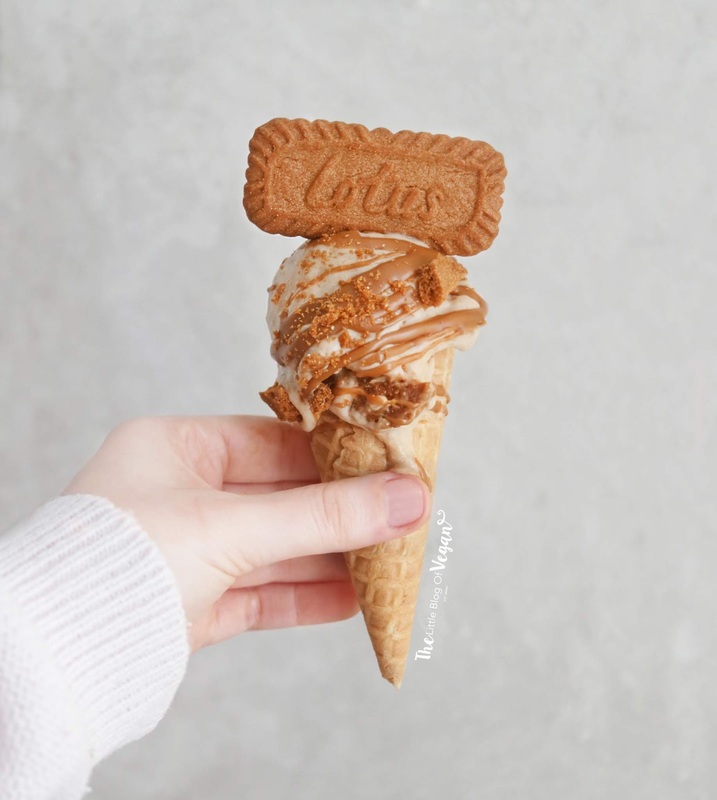 I served my ice cream with some melted Biscoff spread and crumbled Lotus cookies. Looks so delicious and refreshing! Perfect for summer!